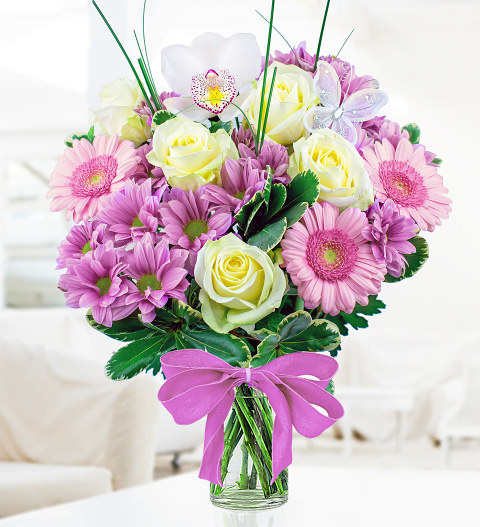 Send someone special this beautiful, hand-tied bouquet to celebrate a special occasion. Our skilled florists have put extra thought and effort into making this bouquet truly special. It comes hand-tied with beautiful pink chrysanthemums with Dutch avalanche roses, germinis and a beautiful Japanese orchid complimented with pittosporum. For the final finishing touch, a beautiful butterfly pick has been added.